You must display two license plates in all of your motor vehicles such as passenger vehicles, motorhomes, trucks or vans. A month tab and year tab must be displayed on the back plate. Motorcycles and trailers have one license plate with month and year tabs. Please note: If one or more of your plates has been lost or damaged, please apply for duplicate plates or tabs. Please note: We do not sell used license plates; however, you can buy a sample plate for your collection or for a school project. When you register your vehicle for the first time the registration fee includes standard plates and tabs. Click here to see registration info. For personalized plates please click here to order your plate. The plates are individually made when requested; therefore, please allow time for processing. 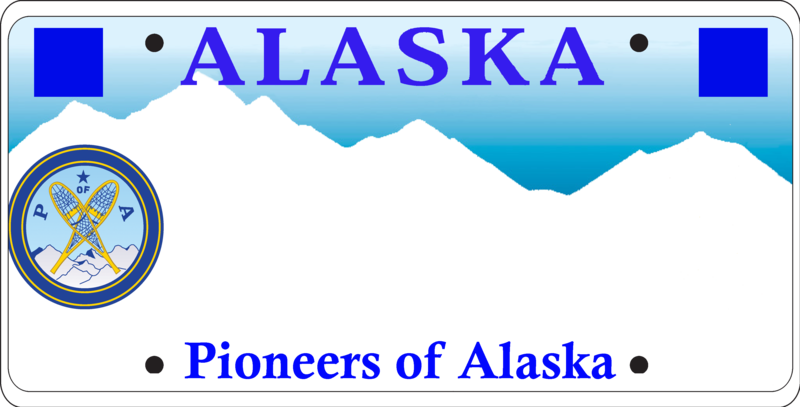 Residents from locations other than Fairbanks, Anchorage, Juneau and Valdez, may submit their applications at any DMV office. Their University plates will be mailed to them in approximately 30 days. For more details, visit Veteran's License Plates. For Support Our Troops and Support Our Veterans plates, please visit Causes. For Veteran's experiencing disabilities, please visit Disability Parking Permits & Plates. Military unit symbols may also be added to plates, please visit Unit Designations. Please apply using form 803 at your local DMV office. One set” of plates may have their finisher number(Ex. 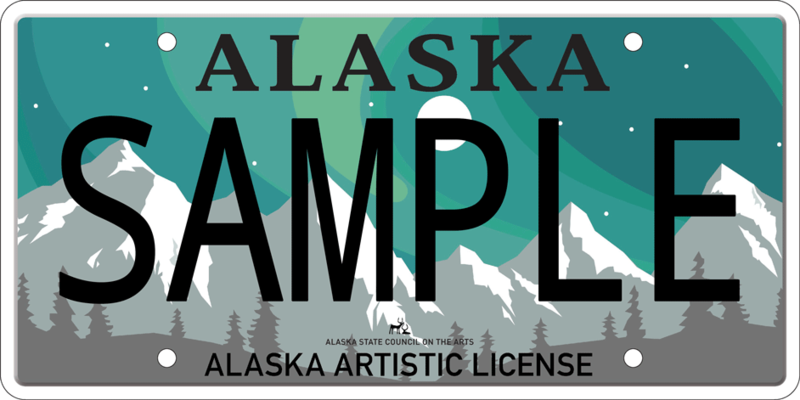 IDT999) and subsequent iditarod plates may be personalized.